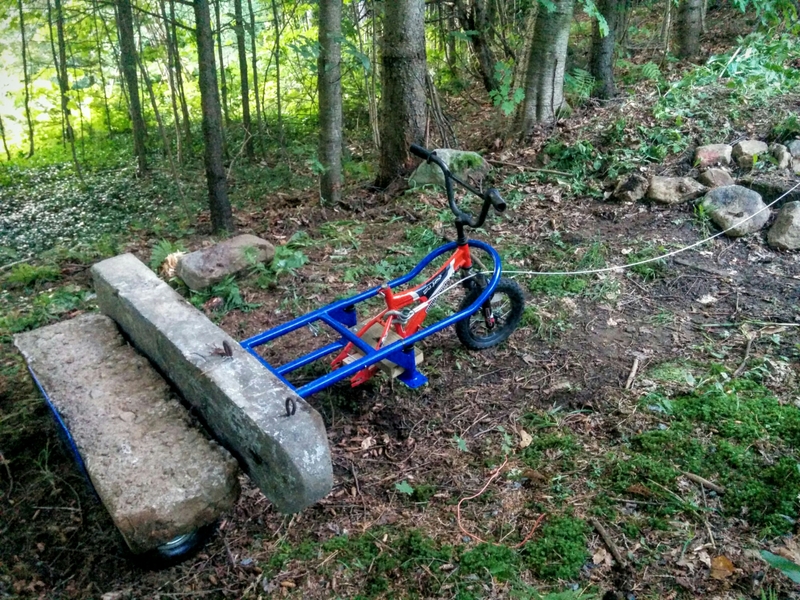 Winch and dolly were bought at discount, and I had the kids bike, so total cost for the rig was $100. This entry was posted in Uncategorized and tagged diy, landscaping, make, maker by Stephane Daury. Bookmark the permalink.